If you are interested in how everything began, our objectives, our motto and what motivates us, here you have the opportunity to learn what is going on behind the scenes. The Austrian gymnastics club Fürstenfeld and the Kenyan club Bushtrakkers Kenya formed a partnership in 2007. Kenyan runners came to Austria and Austrian runners travelled to Kenya. The runners lived together, ran together and so gained deep insight into the other culture’s everyday life respectively. In February 2008 Thomas Krejci travelled to Kenya for the first time and immediately decided to support Kenyan athletes even more. In 2008 Thomas and his team had already volunteered to supervise the first Kenyan Athletes in Austria and accompanied them to road runs and other running competitions. The runners were accommodated on the Hebalm on the border between Styria and Carinthia. Austrian hobby runners joined them there in order to train with the Kenyan runners. In 2009 today’s club name “run2gether” was settled upon. Guest numbers at the running camp on the Hebalm doubled that year and the Kenyan runners won numerous competitions. Since then both, the number of running guests and Kenyan top -sportsmen in Austria has grown continually. Our motto “2gether” doesn’t solely refer to our training together. We want to learn from, support and achieve goals with each other and so benefit from each other on several levels. 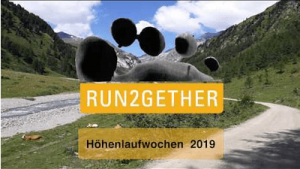 Run2gether is a club officially registered as a running club both in Austria and in Kenya. In Kenya there is also a foundation under the same name, which is involved in everything concerning the Mount Longonot Sports & Recreation Centre in Kenya. We support Kenyan athletes in financing their families’ lives and their own by the means of the running sport. Volunteers at run2gether organise running positions at European running competitions for the best Kenyan runners. If a runner wins prize money, they may keep 70 %, 30% goes the run2gether club in Kenya. Should the costs for the flight and accommodation be paid by the organisers, which is the case at most Marathon competitions, the runner keeps 85% of the prize money. While during summer the Kenyan runners supervise guests at the running weeks and take part in competitions on weekends themselves, in spring and autumn they can concentrate solely on their own competitions. The Mount Longonot Sports & Recreation Centre in Kiambogo was founded and built by run2gether to promote and ensure the long-term economic development of the region. As soon as the building of the centre had started, up to 100 people could be employed in a region where usually there is no work. Additional jobs were created taking care of tourists from Europe. The Kenyan runners also take care of European guests in Kiambogo and earn money they can largely give to their families. These are mostly young runners or runners who already exceeded their career’s highlight. Staying at the Mount Longonot Sport & Recreation Centre means staying at a safe place where the runners receive a sufficient and balanced diet and train with the professional help of a head coach. During holidays the camp is open for local students who want to learn more about the sport of running. While at camp they are taken care of by the head coaches. Furthermore a close co-operation with the local schools ensures the students’ access to them – especially those students whose parents otherwise couldn’t afford it. A holiday at the Sports & Recreation Centre contributes largely to supporting the local people in Kiambogo.